That means that only 31% of shipments go as planned – and that’s even a highly conservative number. In fact, $23Bn in economic value is lost annually as a result of these inefficiencies. 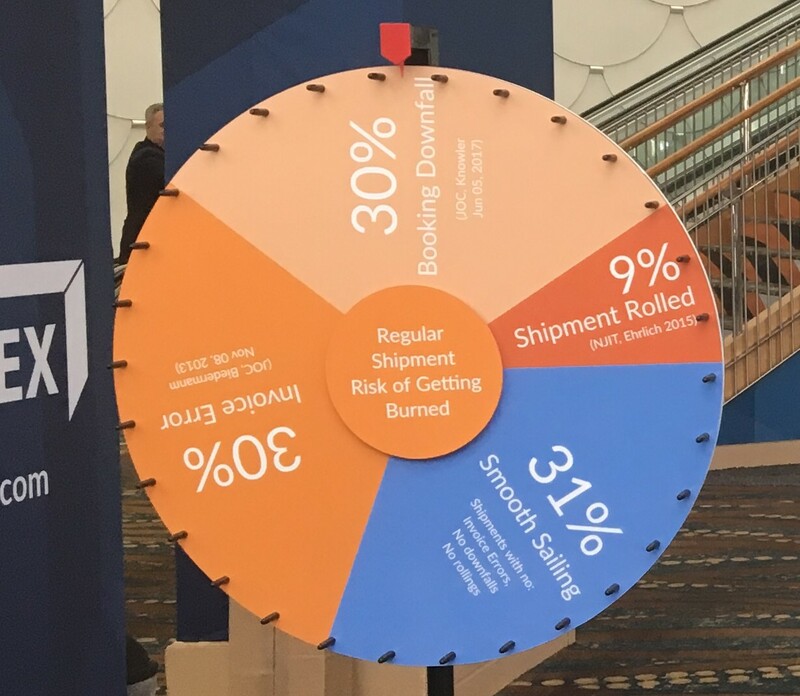 At the 2019 Transpacific Maritime Conference, we decided to help attendees visualize this and feel the significance. Introducing the Wheel of Uncertainty! Even just two years ago there was no solution. 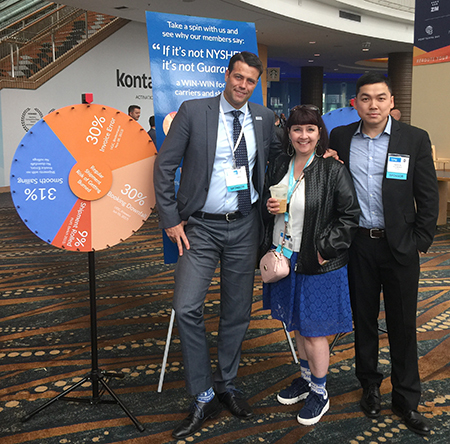 As one of our members once said, “all we could do for customers was make an expensive FAK booking and hope for the best knowing that half the time that booking would get rolled.” Enter the NYSHEX Wheel of Reliability! After 69% of those who spun the Wheel of Uncertainty got burned, we were happy to guide them to the only real solution to the problem. 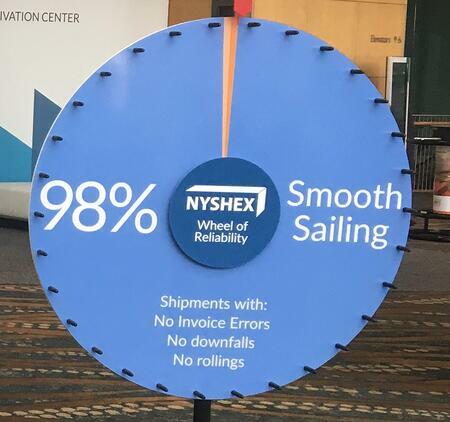 Since inception and across tens of thousands of shipments, when a shipper has contracted on NYSHEX, 98% reliability has been the result. Reliability to us means you get the equipment when you need it, on-time departure in full, a locked-in rate and a clean invoice. We had a lot of excellent conversations at TPM with shippers in search of reliability in preparation for what looks to be another rocky TPEB peak season. And, despite the dismal statistical outcomes of shipping on a traditional service contract, everyone walked away from our table a winner – either with a pair of NYSHEX socks, a gift card, and one lucky winner even won this flamethrower! 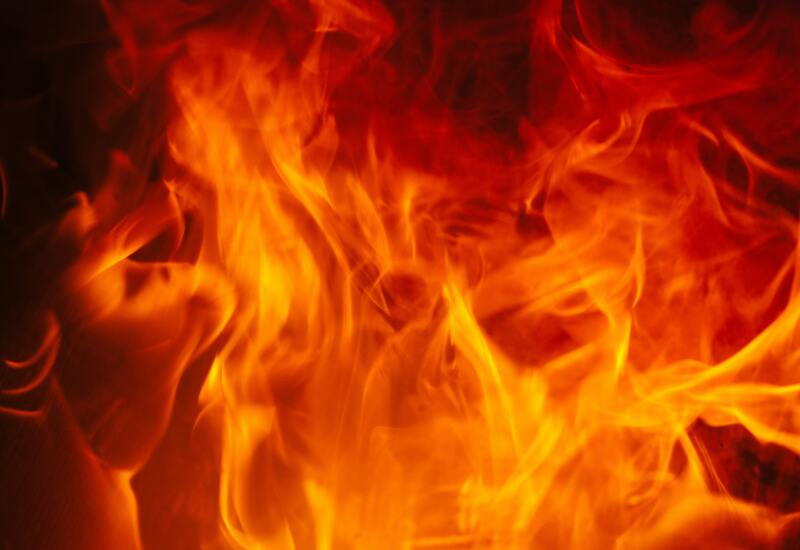 Yes, we gave away a real flamethrower because, if you’re not using NYSHEX, you’re going to get burned [69% of the time].